At Insider Monkey, we pore over the filings of more than 700 top investment firms every quarter, a process we have now completed for the latest reporting period. The data we’ve gathered as a result gives us access to a wealth of collective knowledge based on these firms’ portfolio holdings as of September 30. 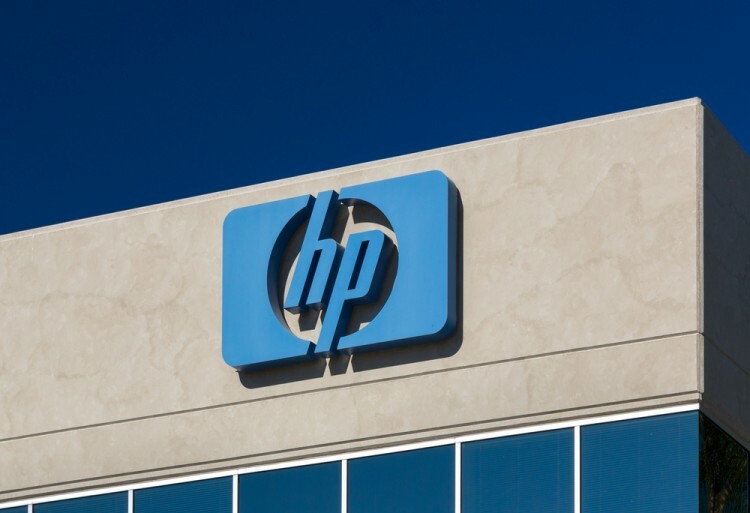 In this article, we will use that wealth of knowledge to determine whether or not Hewlett Packard Enterprise Co (NYSE:HPE) makes for a good investment right now. Is Hewlett Packard Enterprise Co (NYSE:HPE) a healthy stock for your portfolio? The best stock pickers are undeniably in a bullish mood. The number of long hedge fund positions strengthened by 8 recently. HPE was in 71 hedge funds’ portfolios at the end of the third quarter of 2016. There were 63 hedge funds in our database with HPE positions at the end of the previous quarter. The level and the change in hedge fund popularity aren’t the only variables you need to analyze to decipher hedge funds’ perspectives. A stock may witness a boost in popularity but it may still be less popular than similarly priced stocks. That’s why at the end of this article we will examine companies such as General Mills, Inc. (NYSE:GIS), America Movil SAB de CV (ADR) (NYSE:AMX), and Carnival plc (ADR) (NYSE:CUK) to gather more data points. Now, we’re going to check out the latest action regarding Hewlett Packard Enterprise Co (NYSE:HPE). What does the smart money think about Hewlett Packard Enterprise Co (NYSE:HPE)? At Q3’s end, a total of 71 of the hedge funds tracked by Insider Monkey were bullish on this stock, a 13% rise from the previous quarter. 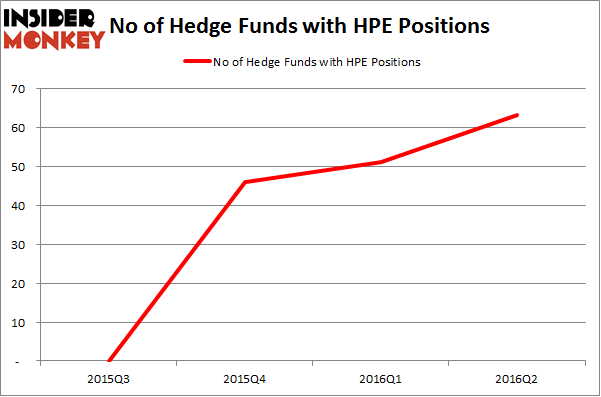 The graph below displays the number of hedge funds with bullish position in HPE over the last 5 quarters. With hedgies’ positions undergoing their usual ebb and flow, there exists an “upper tier” of notable hedge fund managers who were upping their stakes considerably (or already accumulated large positions). According to Insider Monkey’s hedge fund database, David Cohen and Harold Levy’s Iridian Asset Management has the most valuable position in Hewlett Packard Enterprise Co (NYSE:HPE), worth close to $512.6 million, accounting for 4.5% of its total 13F portfolio. Coming in second is Richard S. Pzena of Pzena Investment Management, with a $429.6 million position; the fund has 2.6% of its 13F portfolio invested in the stock. Other peers that hold long positions encompass Ken Griffin’s Citadel Investment Group, Jason Karp’s Tourbillon Capital Partners and Daniel S. Och’s OZ Management. We should note that none of these hedge funds are among our list of the 100 best performing hedge funds which is based on the performance of their 13F long positions in non-microcap stocks. Xcel Energy Inc (XEL): Smart Money Ownership Continues to Dreadfully Lag Peers... Hedge Funds Remain Unimpressed by POSCO (ADR) (PKX) Hedge Funds Are Doubling Down On WSFS Financial Corporation (WSFS): What Do... How WCI Communities Inc (WCIC) Stacks Up Against Its Peers Is Controladora Vuela Co Avcn SA CV (ADR) (VLRS) Going to Burn These Hedge... Is Southern Co (SO) A Good Stock To Buy?